The purpose is to promote, within the Bta & Hispack Exhibition, meetings to facilitate the encounter between research groups and food production sector to: Identify challenges and opportunities, providing solutions to the sector, encourage dialogue, promote more stable relationships. Select thematic area between 7. Select the research group of interest. 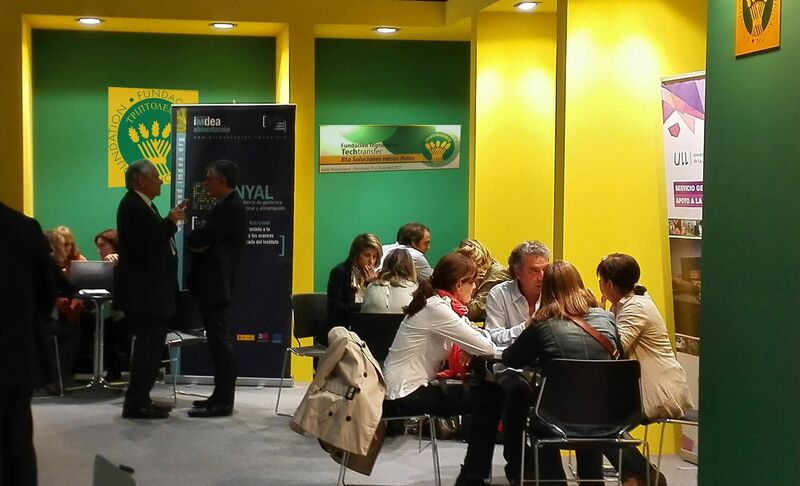 Schedule date and time with the group (Stand salon Bta of Triptolemos Foundation from 21 to 24 April 2015). Triptolemos Foundation in his mission to articulate the food system contributes to the revitalization in an environment of global sustainability to result in greater availability and quality of food and the excellence of companies and competitiveness. The TRIPTOLEMOS TechTransfer project: “Solutions versus Challenges” contributes to the social and economic value of knowledge. The groups have been selected from the RED Campus of International Excellence Triptolemos agrifood activity (17 Campus and more than 600 research groups).